Climate, energy, and health challenges facing the planet demand an ever evolving approach to sustainable development. Harvard University is devoted to excellence in teaching, learning, and research, and to developing leaders in many disciplines making differences globally. While Harvard’s primary role is to address global challenges, such as climate change and sustainability, through research and teaching, the University is also focused on translating research into action. 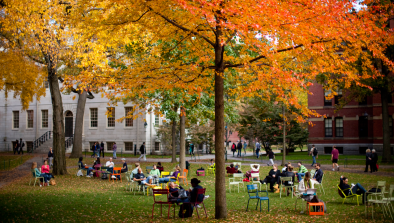 Harvard is using its campus as a living laboratory for piloting and implementing solutions that create a sustainable and resilient community focused on health and well-being. The complex and interconnected nature of the climate, energy, and health challenges facing the planet demand an ever evolving approach to sustainable development. The Harvard Office for Sustainability (OFS) leads an University-wide organizational change initiative across Harvard's 13 Schools and departments to set and achieve goals for a healthier, more sustainable future. 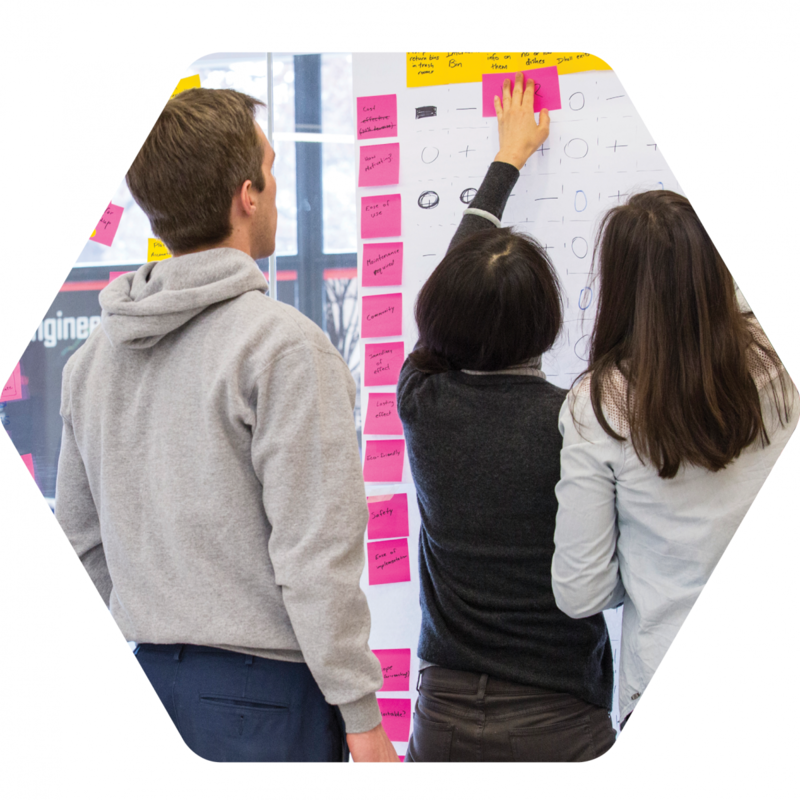 There are four ways we are working to change the culture of how we learn, work, and live. 1. Educating and empowering our students while on campus to become leaders who will use their knowledge to create sustainable impact in service to the world. 2. Translating research and teaching into practice, and using our campus to pilot innovative solutions to real-world challenges. 3. Institutionalizing best practices in sustainable operations. 4. Amplifying impact by sharing replicable models that can be implemented inside and outside Harvard. Tackling climate change on campus has resulted in an unprecedented level of “One Harvard” collaboration among our decentralized and diverse community, allowing for significant progress to be made against our goals, and providing the foundation for pursuing a more holistic sustainable development vision. 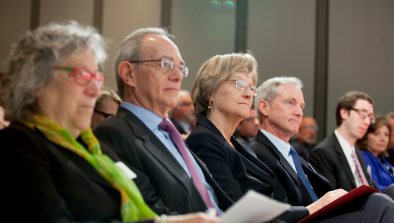 In 2008, President Drew Faust, the Deans, and the Corporation adopted an ambitious short-term goal, based on the best available science, to reduce University-wide emissions 30% by 2016, including growth, from a 2006 baseline. At that time, the Office for Sustainability was formalized by President Faust to broaden and enhance the University’s engagement in sustainable campus operations. 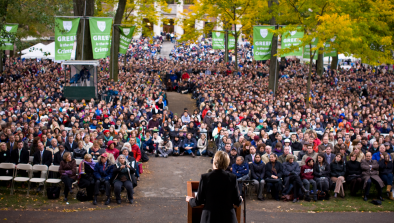 Sustainability at Harvard grew from a grassroot movement led by students and faculty. 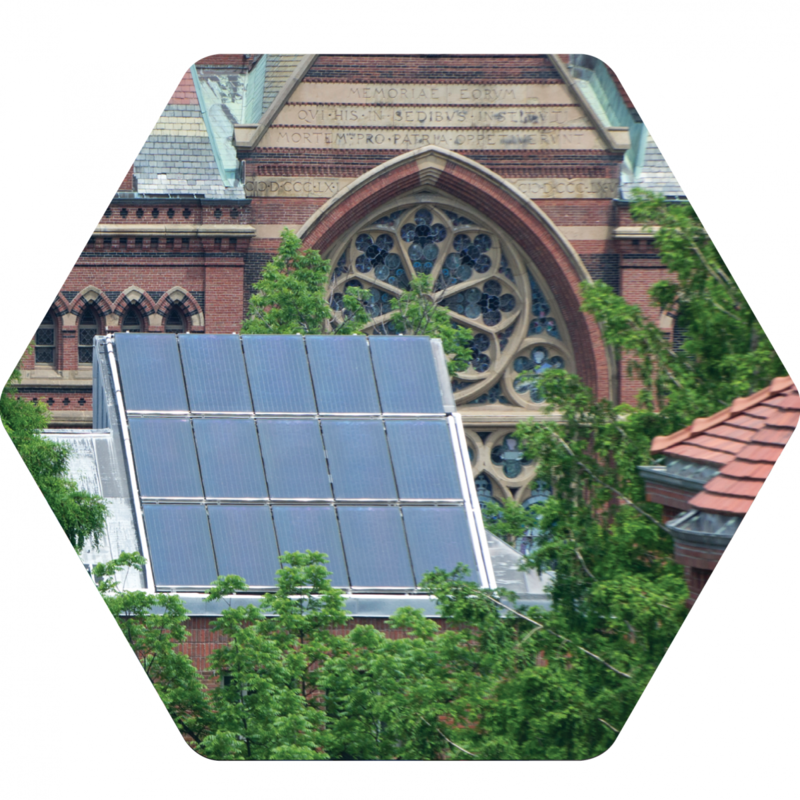 In 2000, faculty and staff helped launch the Harvard Green Campus Initiative, followed shortly after by the Green Building Services team and the Undergraduate Resource Efficiency Program. In 2004, Harvard adopted a set of Sustainability Principles that defined the University’s vision for a healthier, more resilient future. The Principles provided a broad framework to guide the implementation of projects throughout campus supporting the University’s research and teaching mission by enhancing health and wellness, conserving resources, and improving the efficiency of campus operations. 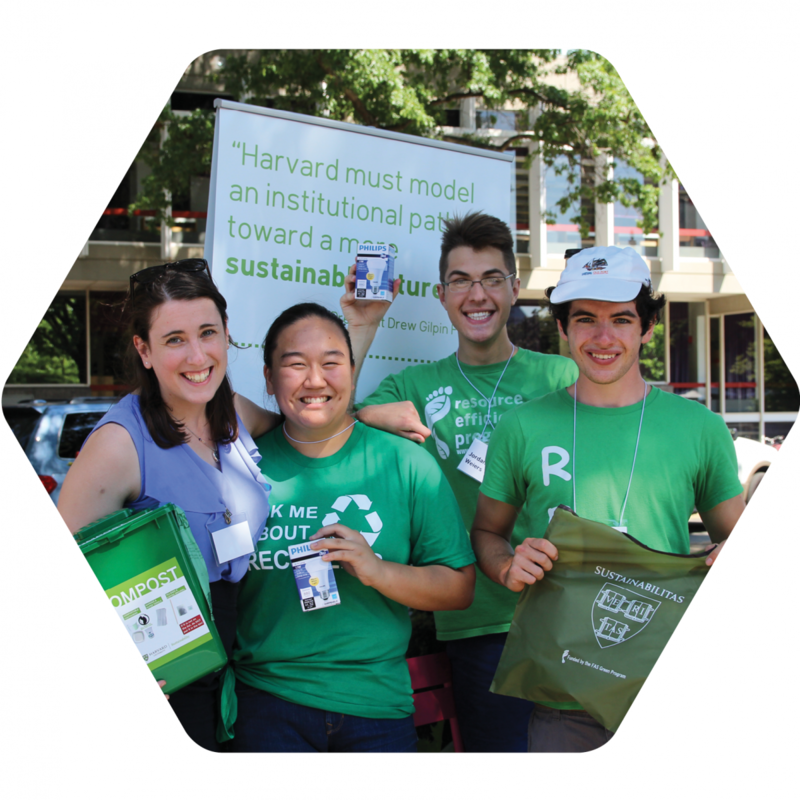 Demonstrating institutional practices that promote sustainability, including measures to increase efficiency and use of renewable resources, and to decrease production of waste and hazardous materials, both in Harvard’s own operations and in those of its suppliers. Promoting health, productivity, and safety of the University community through design and maintenance of the built environment. Enhancing the health of campus ecosystems and increasing the diversity of native species. Encouraging environmental inquiry and institutional learning throughout the University community. Establishing indicators for sustainability that will enable monitoring reporting and continuous improvement. 4 Goals, 8 Standards, 33 Commitments.